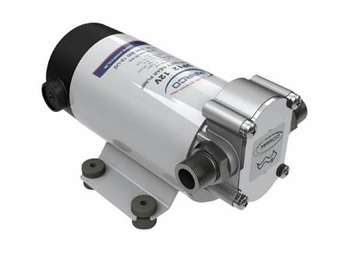 10.6 GPM Reversible self-priming electric pumps of small dimensions with bronze gears for transferring of liquids. Pump body in nickel-plated brass and�stainless steel shaft. Main applications: transfer of diesel fuel, antifreeze.